We would like to thank you so much for your kind words, valuable feedback and your great company — all of which are very much appreciated! 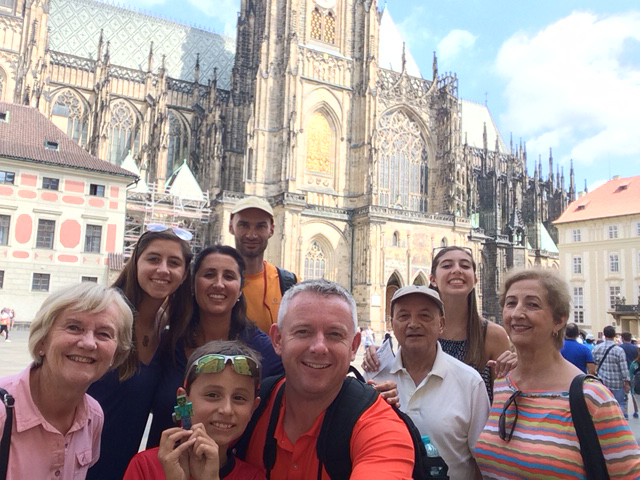 My family and I hired Kamil to lead us on a full day walking tour of Prague. We were able to see all of the core sections of the old city: Castle Town, Old Town, New Town, Lesser Town, and the Jewish Quarter. Kamil was extremely knowledgable, providing us with a detailed historical background of the city, customs, people, politics, and architecture of this unique UNESCO world heritage city. 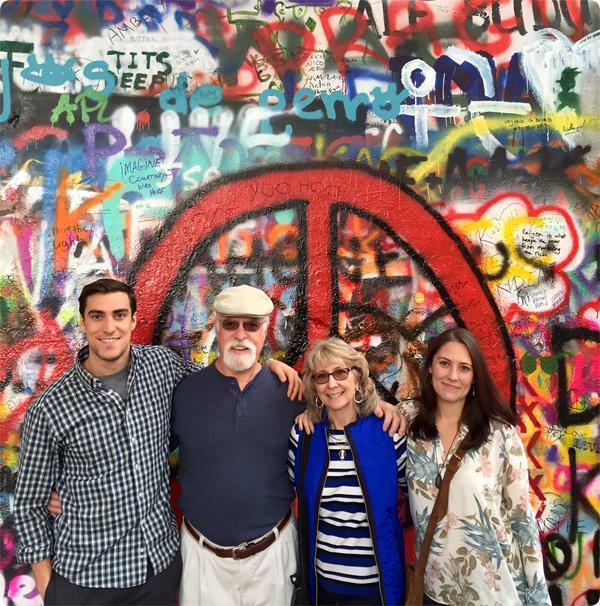 We visited several cities during our Central European trip and Prague was the crown jewel! A lot of the credit goes to Kamil for revealing the highlights and secrets of a place we didn't know much about, prior to our vacation. Oh, I don't want to forget to mention that Kamil takes great group photos (knows all the good spots) and found us a cute, tasty restaurant for us to re-fuel halfway through our 8-hour walking tour! My husband and I along with our friends found Kamil through friends who had him for a previous tour. Kamil met us at our hotel and we had him for our guide for 2 mornings of 4 hours each. Prague was broken into 4 sections. The first morning we toured Little Town and Prague Castle. The second morning we toured Old Town and New Town. We walked leisurely throughout the city with Kamil explaining the history of all we saw. He is very knowledgeable about the history of Prague. When we needed tickets for entering any of the sites we gave Kamil the money and he would go purchase them. Kamil spent a couple of years living in the US and understands our humor and was a fun person to spend the mornings with relating the history of his beautiful city to us. I would recommend him highly as your guide in Prague. My 3 hour tour with Kamil was an excellent one. He knows his subject very well. I wanted to see certain periods of buildings and that is what we did. If you are an architecture nut this is the guide for you. Not only is he knowledgeable but also a very pleasant person. We had a wonderful half day tour hour tour with our guide today. She showed us things about Prague we could have never found on our own. She was cheerful and energetic and answered all our questions. We are from California and knew very little about this wonderful city. She made it fun and entertaining. I can't recommend them strong enough. My wife and I booked a half day private tour of Prague with Kamil, with an emphasis placed on the Jewish Quarter of the city. Kamil was an amazing tour guide, and was very well versed in the history of the quarter. The both of us were kind of mesmerized by the experience and Kamil not only knew the factual history, but was a greater communicator of that history. If you are planning to tour the city, we highly recommend using his services. We gave Kamil less than 12 hours notice that we would like a tour on the Sunday. Sure enough Kamil came back to us within a few hours and everything was arranged. Martina was very knowledgeable and enthusiastic and gave us a superb insight into Prague and the Czech Republic. Martina's English was excellent and we had a wonderful day touring both the castle and the city. A friend and I hired the company for a trip to Auschwitz. It was a long day but we very much enjoyed the experience. Our driver was very nice, knowledgable and we enjoyed his company. They will accommodate your wishes and help you put together a tour that works for you. I would definitely use Kamil and Pavlina´s service again.